"Out of sight, out of mind!" - Lindsay Lohan has decided to break with Egor Tarabasov (after a series of scandals and even fights). Apparently, the faithless groom didn't want to confess to her, and she had to bear with it. Lindsay tried not to worry so much about breakup: she went to France and then to Sardinia, where she had a rest on a yacht with her friends and licked her wounds. Now the star has returned to the favorite Mykonos. It seems that she has the memories of what place, where she had been happy with Egor a month ago. We guess somehow the new friend - the owner of a popular local restaurant Denis Papageorgiou helps her forget the past. 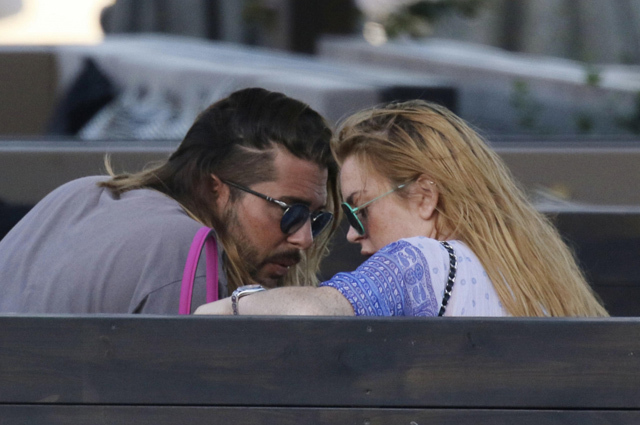 Attractive, muscular and rich man is already called the new lover of Lohan, and it seems these rumors have some truth – Lindsay and Denis spend all their time together. They eat breakfast and dinner together, resting on the beach, come off at parties. “Lindsey is looking for a rich man. She thought that Egor would be her prince, but it did not work out. Now she decided to return to the game and find her "daddy”, instead of just retreating and licking her wounds”. Well, there's no proof. Maybe Denis just shows Lindsay some friendship, supports actress and helps her to cope with the emotional pain after parting with her beloved?